English born Surveyor Samuel Hewlings arrived in New Zealand in 1841 at the age of 21. 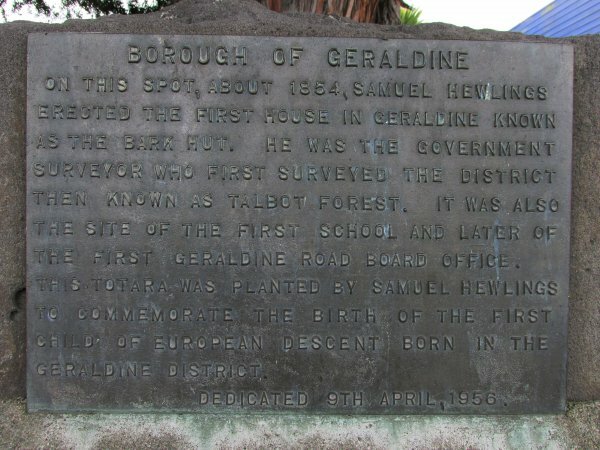 In 1854 he was employed by the Canterbury Provincial Government to survey the land around Talbot Forest, as Geraldine was known at the time. He built a small hut in the area that had been proposed to be the town centre. The township sprung up around his hut as saw-millers came to level Talbot Forest to the ground. The hut, the first in Geraldine, later served as offices of the Road Board and then later as the town's first school. 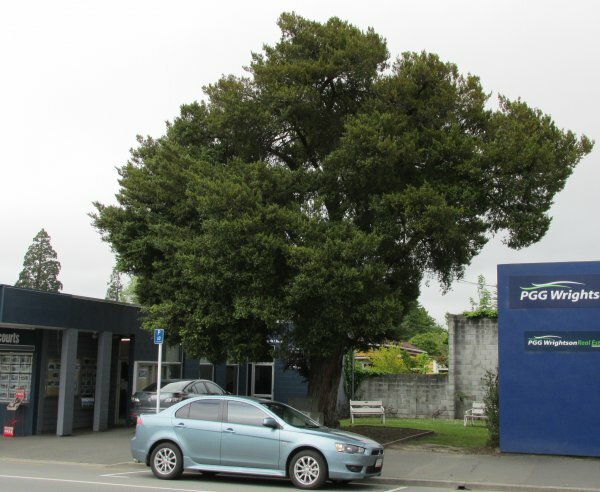 The plaque beneath the tree records that the totara was planted by Hewlings to mark the birth of (his daughter, Catherine (Kate) Hewlings) the first child of European descent to be born in the Geraldine District. 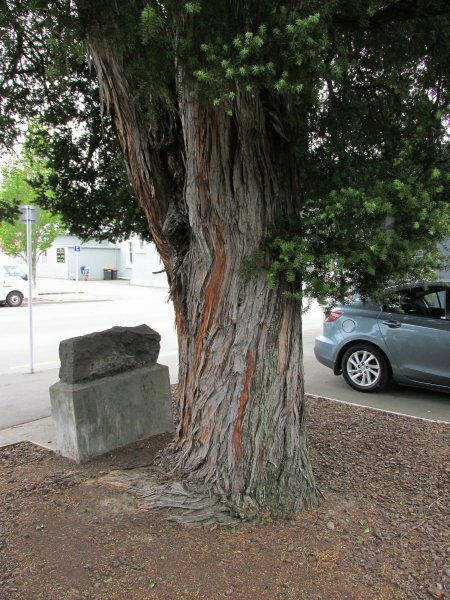 The tree appears a little stressed and is small for its apparent age. Located opposite the Police Station on the main street.